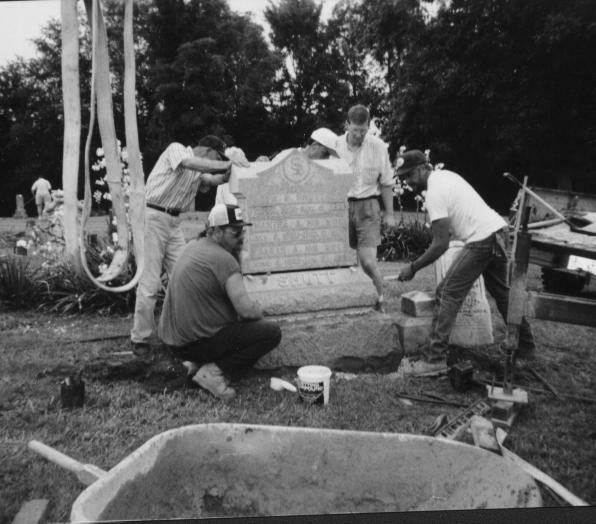 On June 26, 1999 a group of Auburn citizens and descendants of the Dill, Loving, Shutt and Wimmer families gathered together at the Wimmer Cemetery in Auburn, Sangamon County, Illinois to reset, clean and pull weeds around the burial ground. 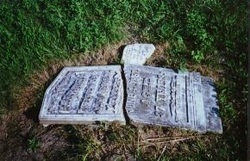 This cemetery has stones which date from 1828 to 1913. 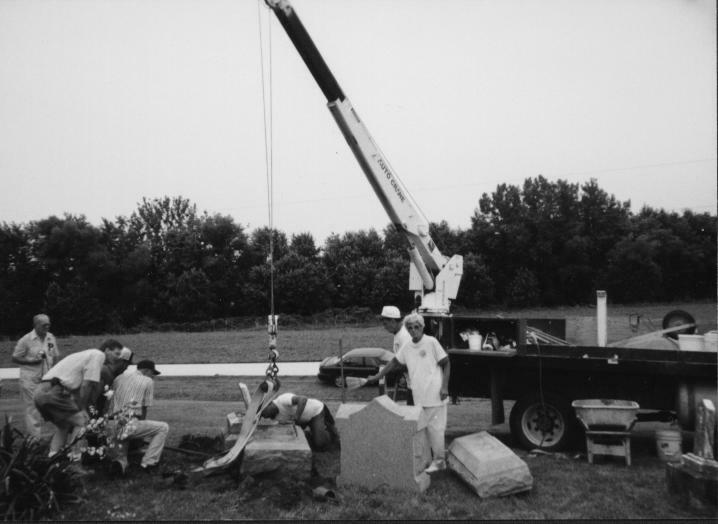 The largest of these stones were placed back into position with the help of a winch and the personnel provided by the Arnold Monument Company from Springfield, Sangamon County, Illinois. 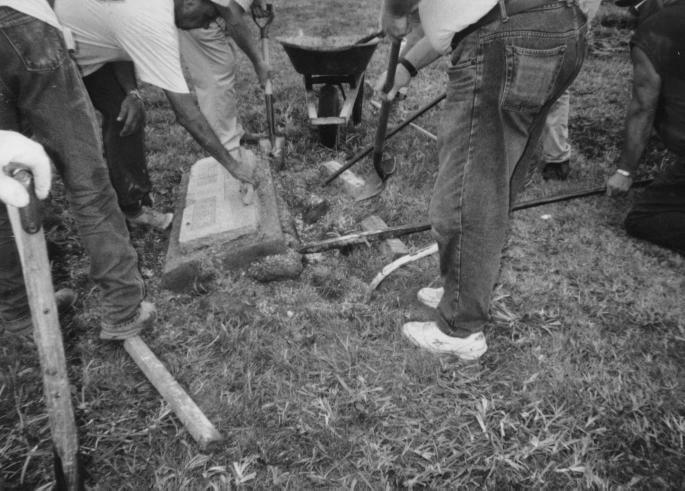 **Of special note: Prior to the revitalization efforts of this Association, for many decades, the cemetery was under the care of several different groups. 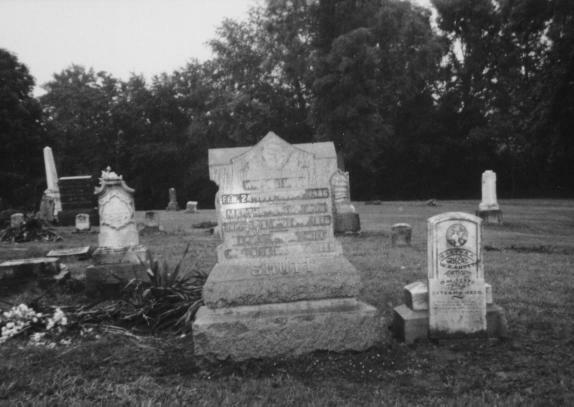 After the passing of most of these caretakers, the cemetery's care was continued with the help of Desire and 'Lyn Pignon who lived just north of the cemetery for many years. Ongoing volunteer efforts have continued through the years in the restoration and beautification of Wimmer Cemetery. 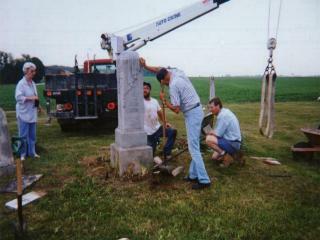 We thank all those involved who have given of their time and talents, and we truly appreciate their volunteer spirit.